Diamond engagement rings have been the standard forever. 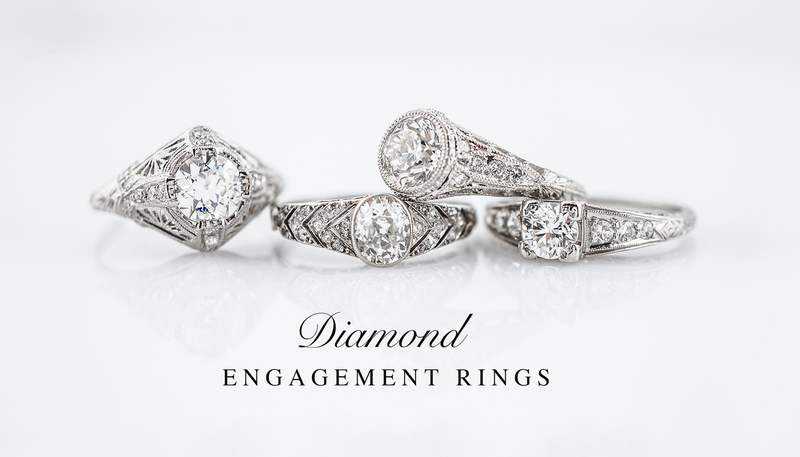 Unmatched in sheer brilliance, but also durability, diamonds are the go to stone for engagement rings. Coming in various cuts, colors, shapes and sizes, our collection of diamond engagement rings feature period correct diamonds as well as an assortment of GIA certified center stones. If your new to the diamond shopping process, please feel free to contact us with any questions and we would be more than happy to walk you through the differences between color, clarity, cuts and sizes or learn more here.